Sitting atop Beacon Hill overlooking the Public Garden at 5 Byron Street is an understatedly elegant loft. 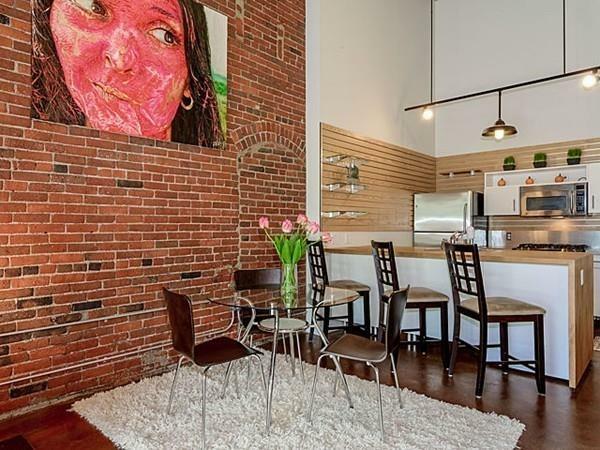 Housed in a building built in the 1890's, this loft features expansive open spaces and modern amenities in one of Boston's most prized neighborhoods. Designed by architect Graham Gund, the interior features a two-story main living area and fireplace. A luxe, marble bath highlights the master suite and large South-facing windows accent the space. Unique to this loft are the multiple decks, attached two-car garage parking and vast storage - amenities rare to the Beacon Hill neighborhood. With over 5,323 square feet, three bedrooms and 4 ½ baths, 5 Byron Street has an elevator to all levels, including the roof deck displaying a Zen garden where residents can take in the surrounding views of Boston. With views of the Public Gardens, decadent interior designs and steps from the Commonwealth Avenue mall and the Charles River, 5 Byron Street is a unique find in Beacon Hill and will not be available for long. 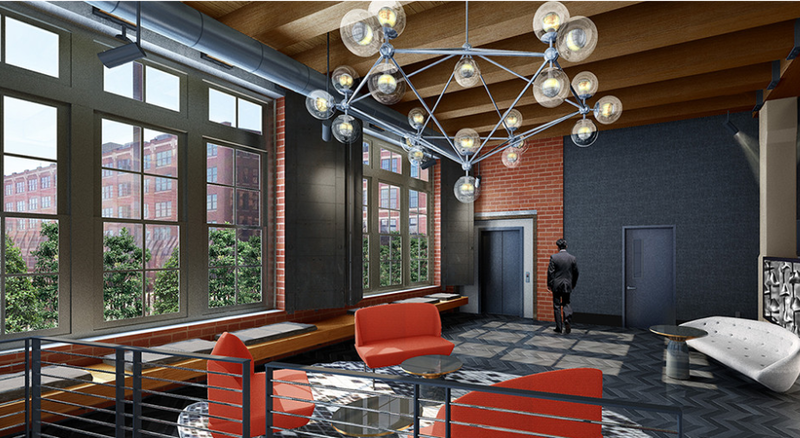 To view 5 Byron Street and other luxury lofts in Boston contact us at bostonlofts@advisorsliving.com. Open House! Sunday, March 6th from 11:00 am - 12:30pm. Contact Kristy Ganong at 617-642-4538 or kganong@advisorsliving.com for more information. A corner penthouse with 1,922 square feet, 2 bedrooms and 2 bathrooms, this Seaport loft features modern lines and captures natural light all throughout the space. 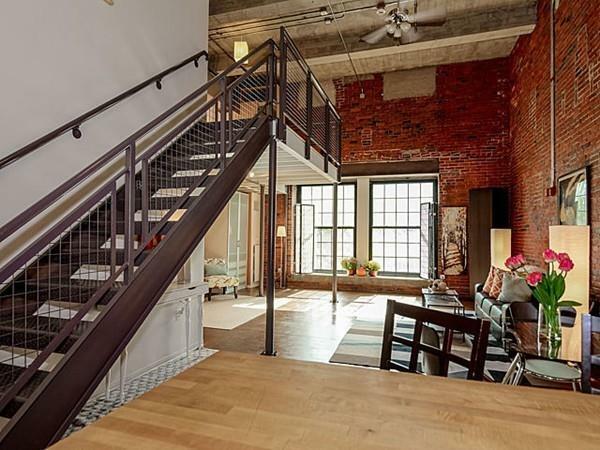 Industrial loft living blended with the attributes of a luxury home, 21 Wormwood Street underwent a complete remodel in 2008 and features custom cabinetry, imported granite counters and sliders with milled steel hardware. The most impressive attribute, however, is its private deck with breathtaking views stretching across the Seaport District. 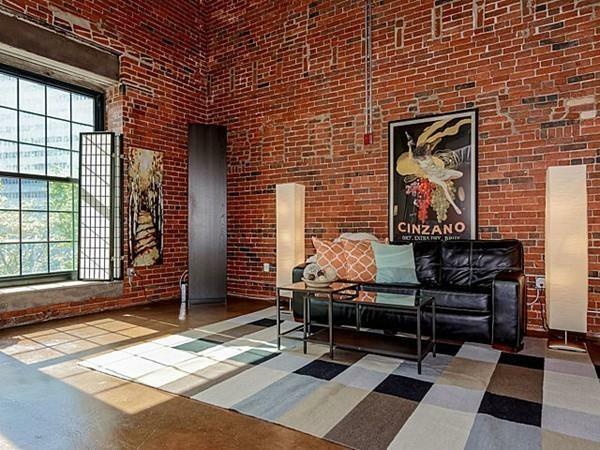 Come see for yourself and tour this luxury style loft. 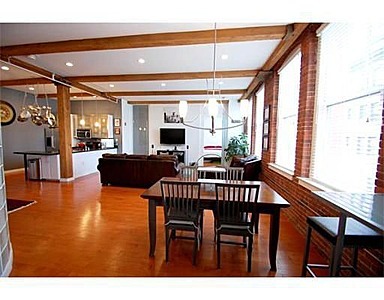 For more information about this listing visit Boston Lofts' Fort Point Penthouse Loft. 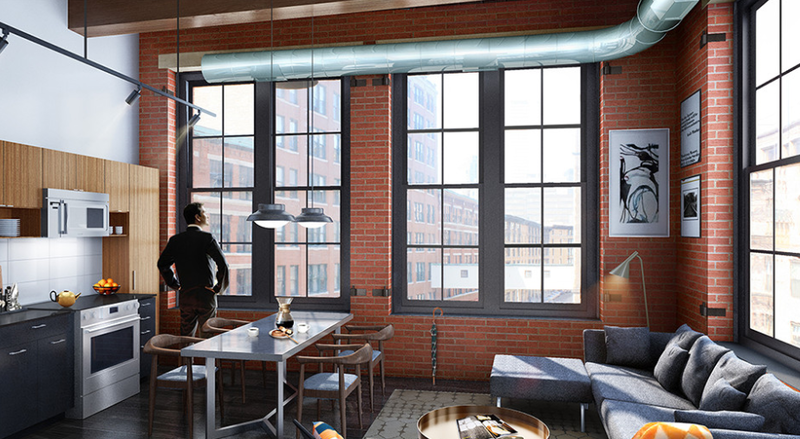 The Seaport District's newest loft-style condo building, 319 A Street is a former "turn-of-the-century" leather goods warehouse reborn as luxury Boston lofts. 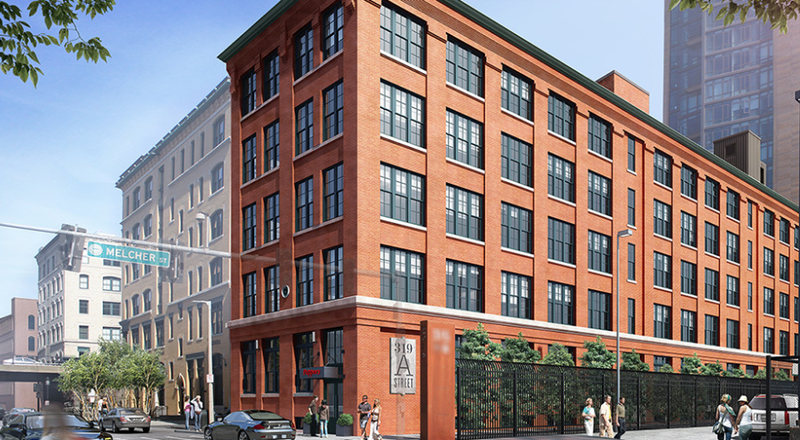 Boston Residential Group - behind such buildings as 360 Newbury - has adapted this brick-and-beam gem into 4 top floors of residential condominiums and a ground floor of retail and restaurant space, ready for occupancy in 2016. Units range from 450 Square Feet to 1,052 Square Feet (Studios to Two Bedrooms), starting at $499,000. The developer has made significant efforts to sustain the building's original charm and details (enameled brick, studded barn doors, chevron tiles), but includes sustainable & energy efficient features such as efficient lighting and recyclable materials throughout. 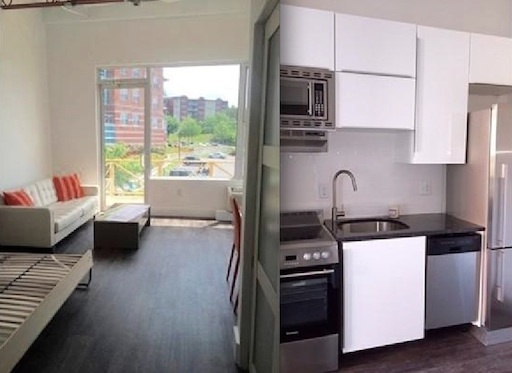 319 A's units will be utilize the factory-sized windows as the focal point to brighten the modern fits and finished throughout (zebrawood cabinets, honed black granite countertops). Common amenities include a covered drive-through and fantastic common roofdeck with incredible views. A Street is in the heart of the Fort Point Channel, which bridges the ever-popular South Boston's Broadway neighborhood and the true Seaport District. Local restaurants include: Sportello, Menton, Lucky's Lounge, Barlows, Blue Dragon, Row 34, Tavern Row, Drink, Bastille Kitchen. Other area highlights include: Boston Children's Museum, World Trade Center, Institute of Contemporary Art, and several retailers. 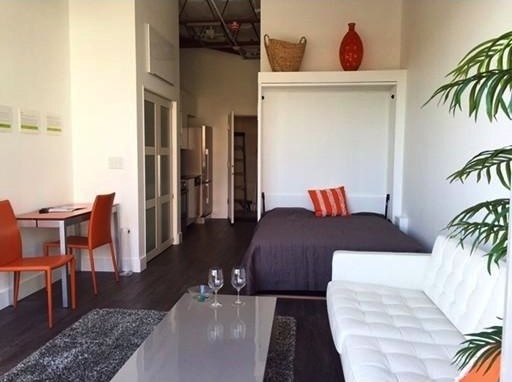 NEW TO MARKET MicroLofts in Chelsea! Amazingly affordable new lofts on the Chelsea waterfront at Admiral's Hill. 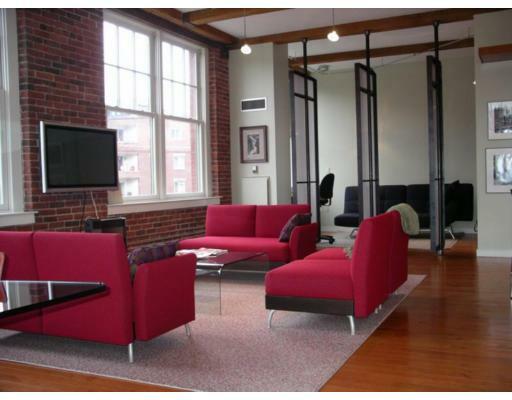 Here's a few fantastic Boston Lofts that are new to the market - The Townhouse Lofts at 57 Wachusett Street in Boston's Jamaica Plain. 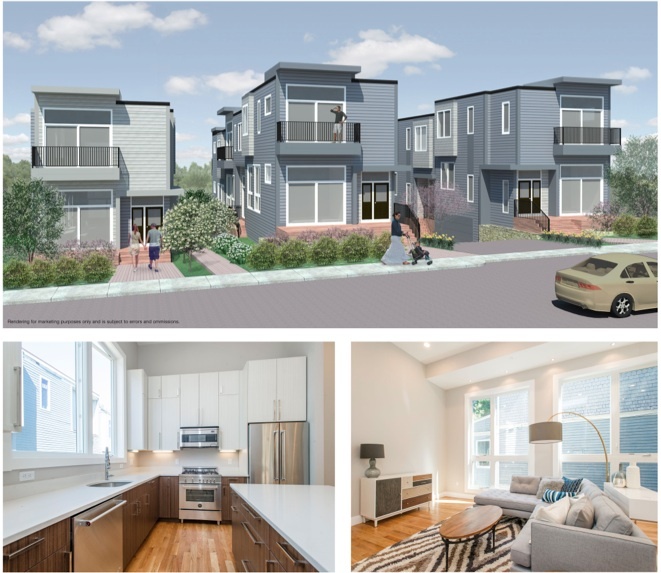 Take one part townhouse, with 2 car garage parking, 3 bedrooms and 2.5 baths on 3 floors and your own private entrance, and meld it seamlessly with loft features such as 12.5' ceilings, HUGE windows and a hip modern esthetic, and you have the perfect place to call home. Residence 55A is one of 8 residences being built, and represents an exceptional value. The 1st level has a two car garage and a utility/mud room. Upstairs is an open floorplan living/dining/kitchen with soaring ceilings, dramatic banks of 9' high windows, a balcony and a modern kitchen featuring Miralis cabinets, quartz countertops, an eating island and Professional Bertazzoni appliances. Upstairs are 3 spacious bedrooms and two baths, including a master suite with its own private balcony and en suite bath with double vanity + glass shower. Stretch energy code compliant.